Congrats to Dan, Catherine and Joaquin! July 8, 2016 / Samantha N. MacMillan / Comments Off on Congrats to Dan, Catherine and Joaquin! Congratulations to Dan Lehnherr, Catherine DeBlase and Joaquin Alzola from the Dichtel group (CU Chemistry) for their recently published article in Chemical Science! Congrats to Brian and Ala’aeddeen! July 15, 2015 / Samantha N. MacMillan / Comments Off on Congrats to Brian and Ala’aeddeen! 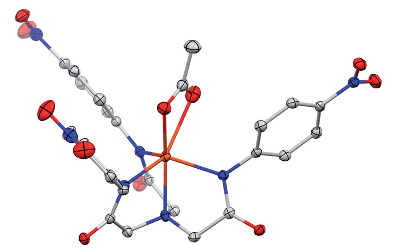 Congratulations to Brian Lindley and Ala’aeddeen Swidan from the Wolczanski group (CU Chemistry) for their recently published article in Chemical Science!